..... And it was designed by a 19 year old!! 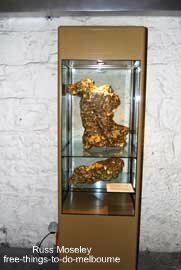 ........As well as being a gorgeous building, it contains the original gold vaults where the gold bullion was stored during the gold rush in the 1860's. 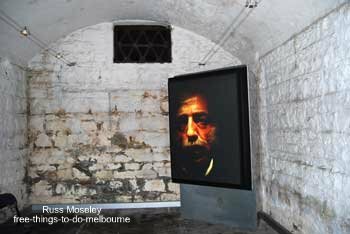 The vaults are now home to a very good multimedia exhibition about the gold. 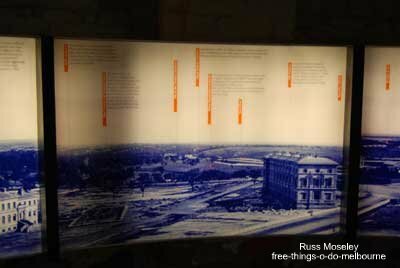 ........and have a look at some rare and historic documents highlighting key moments from Victoria's history. .....It was found just 25 centimetres beneath the ground in Victoria, not too far from Bendigo. .....It was the largest nugget until 'The Welcome Stranger' was found. .........I was amazed that something like this happened in a place like Melbourne. 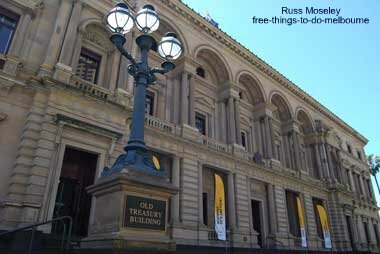 The photo below shows the Old Treasury was one of the earliest buildings in Melbourne. (You'll get a clearer picture of it at the exhibition!!). ...Oops!.... Make your own mind up! The Old Treasury is located at 20 Spring Street, just down from Parliament House. It's normally open Sun-Fri 10am-4pm, closed Saturdays but times do seem to vary so check out the website beforehand at Old Treasury.